A woman leaves a note at a memorial for Prince in front of 1st Ave, the venue he regularly performed at in Minneapolis. We were in Minneapolis when Prince died. The outpouring of grief and loss was incredible. I was never a huge Prince fan. I thought Purple Rain was a good movie and a great album. I enjoyed most of his radio hits but I didn't have many of his albums and I haven't seen his other movies. He was hilarious on the Fox show "New Girl." 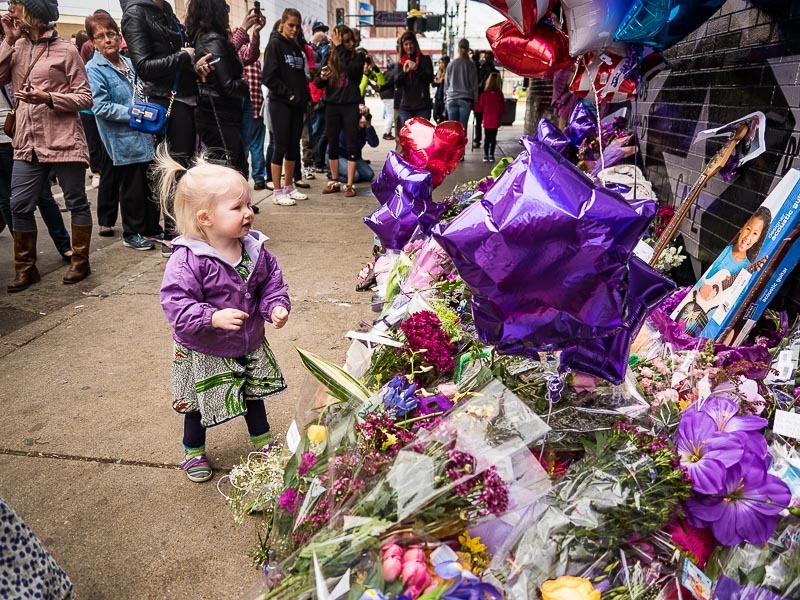 A child looks at the Prince memorial in front of 1st Ave. It's impossible though to overstate his importance to the music and arts scene in Minneapolis. Musicians from around the world came to his studio in Chanhassen to record. He gave money to schools, families of victims of violence and charities in Minneapolis and around the world. Almost always anonymously. 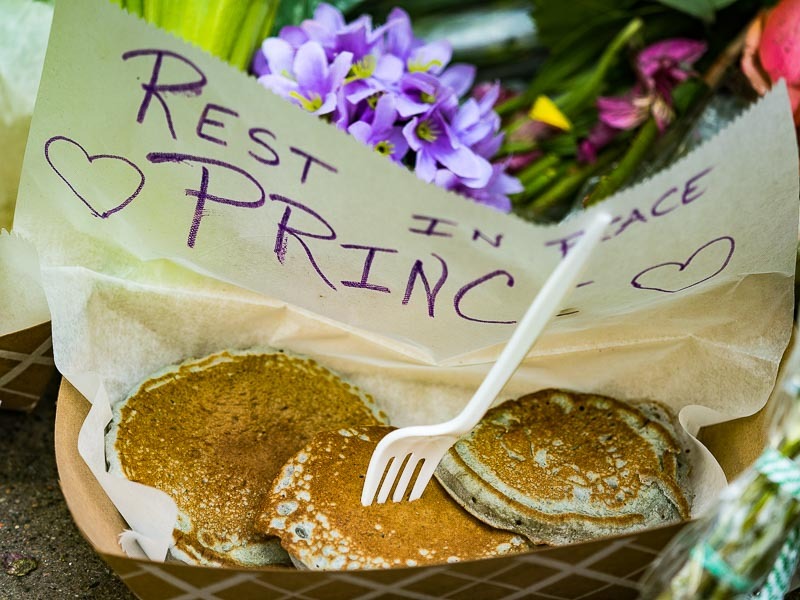 Mourners left a stack of pancakes at the memorial at 1st Ave. Prince and pancakes have a long and fun history. He was seen riding his bike around suburban Chanhassen and was known to show up at concerts in Chanhassen and Minneapolis, sometimes jamming on stage with the band, other times just sitting in the audience. I went to a couple of Prince memorials, but I didn't really cover Prince's death and the reaction to it the way it deserved to be covered. The photo staff at the Minneapolis Star Tribune has done an outstanding job documenting the reaction to Prince's death. Their photos of the music legend are on display in the lobby of their downtown building. 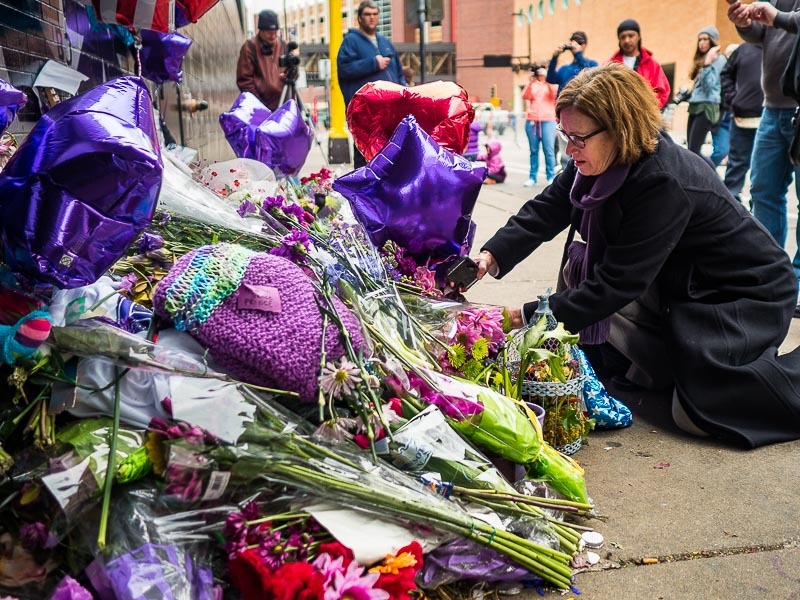 A woman leaves flowers at the memorial in front of 1st Ave. 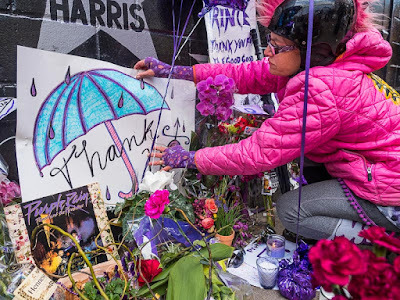 Most of the reaction to Prince's death have been at Paisley Park, his Chanhassen studio, and First Avenue, the downtown venue he will be forever linked to. But there have been dance parties and screenings of his movie "Purple Rain" all over town. 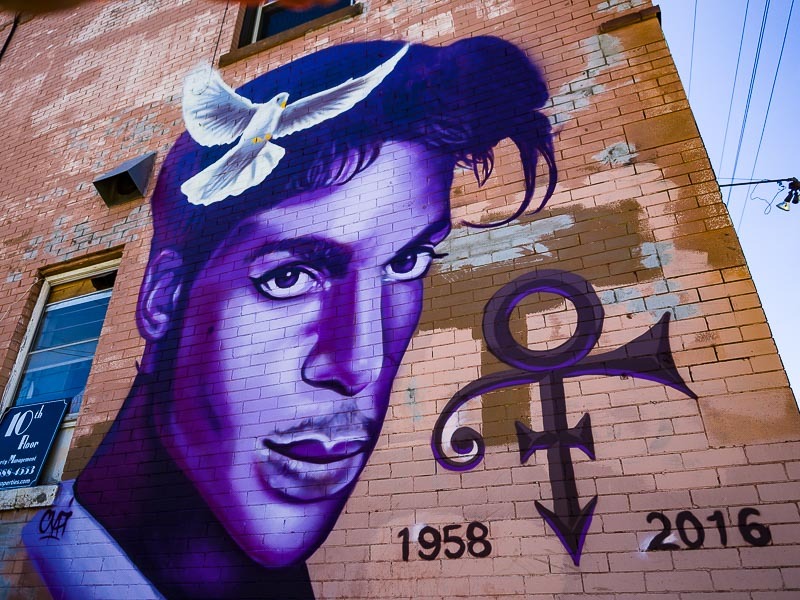 An artist painted a purple mural of Prince on the back of a tea house on Hennepin Ave in Minneapolis' Lowry Hill neighborhood. The mural of Prince (by local artist Rock “Cyfi” Martinez) on Hennepin Ave. 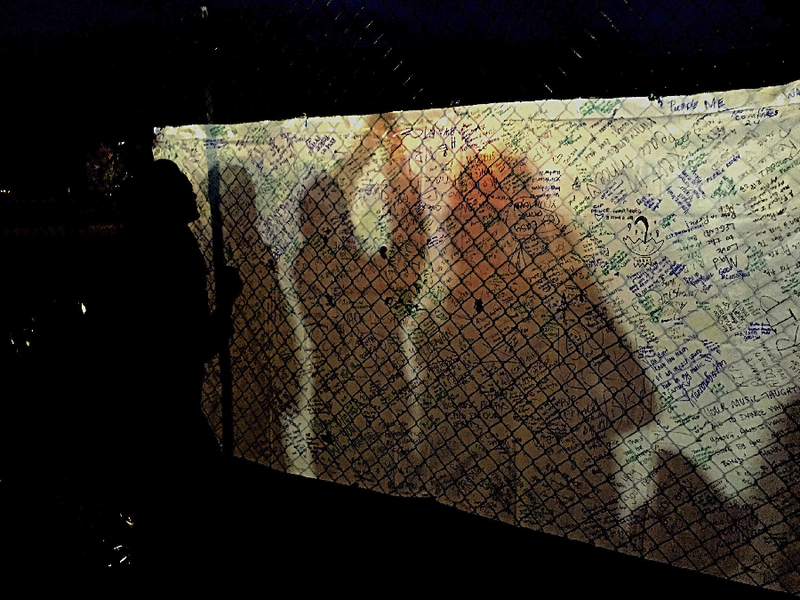 There are more photos of Prince memorials in Minneapolis in my archive.